Dogs adore the outdoors, and pet owners in O’Fallon, Illinois are fortunate enough to have a park that caters especially to our furry-legged friends. Rock Springs Park is an off-leash area that allows dogs to roam around free, as long as their owners can control them and ensure that they stay in their best behavior. While the freedom that off-leash parks has to offer may seem like paradise to dogs, practicing proper etiquette and manners is still very important. Trying to control an overly-aggressive pet in public can be very embarrassing, and unfortunately, the rules clearly state that the park has the right to ask you and your dog to vacate the premises. If you want to visit off-leash dog parks with your pooch, here are a few recommendations that will help lessen the possibility of accidents and make the experience more fulfilling and enjoyable. While a dog park is relatively safe, sensitive dogs may become scared of the more intimidating canines. If you see that there are dogs fighting or bullying one another and you feel uneasy about letting your pooch play with them, it might be better to leave and come back another time. Be aware of how your dog is faring even when it’s away and not wearing its leash. Of course, there are moments when you can’t help but turn your focus on something else, so it might be a good idea to sign your pooch up for O’Fallon, IL dog obedience training to ensure that it will behave properly even when you’re not there. Animals don’t have the capability to verbally express what they’re feeling, so it’s up to the humans to try and determine the visual cues that their dog is enjoying or not. If you think that your pooch feels threatened or anxious, cut the play time short and don’t hesitate to ask the other dog owner to help break up your pets. Off-leash parks can bring pure canine bliss, especially for those that are eager to burn off all their excitement and energy. Practicing proper etiquette will not only benefit the park, but will also create a safe and pleasant environment for your dog to play in. 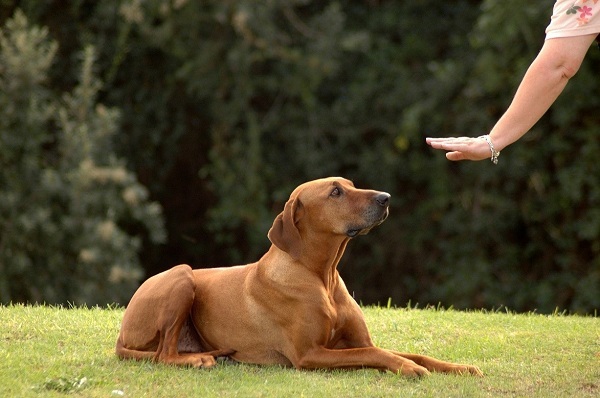 If you want to improve your dog’s behavior when it’s off-leash, canine specialists such as the Kranky K9 Dog Training offer various services in dog training in O’Fallon, IL that will teach your pet become more obedient and well-behaved. Which training program works for you? Read more about the training programs Kranky K-9 has to offer. Whether you have a small pup in need of some potty training or a wild labradoodle trying to find an outlet for that energy, Kranky K9 can help. Let Kranky K9 help teach manners inside and outside the home.